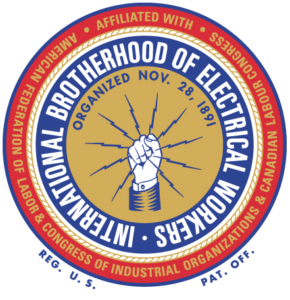 The IBEW represents workers in the electrical industry including construction, gas and electric utilities, telecommunications, railroads and government agencies. Construction and residential electricians work in all phases of the electrical construction and service industry. Their worksites ranges from single-family residences to state-of-the-art industrial plants. Inside wire workers may install and maintain conduits, switches, converters, wire lighting, and complex systems incorporating computerization and high technology. Electricians work in the electric sign industry and increasingly perform work in the installation of fiber optics and voice/data/video equipment. 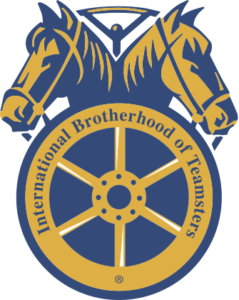 The Teamsters represent 1.4 million working men and women in virtually every occupation throughout the United States and Canada, including many in the construction industry. Two-thirds of Teamsters members work in one of five divisions: warehouse, parcel, freight, public employees and industrial trades. The public employees sector is the union’s fastest-growing division. Teamsters members are also spread out geographically. The largest concentrations of Teamsters are in the regions in the central and eastern states. 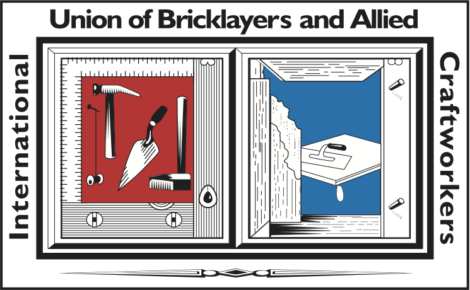 BAC represents all skilled trowel trades workers, including bricklayers, tile setters, plasterers, cement masons, marble masons, restoration workers, and terrazzo and mosaic workers. Their work can be seen on many buildings, homes, stadiums, monuments and landmarks throughout the United States and Canada. BAC craftworkers routinely demonstrate their talents at trade shows, union industries shows and apprentice contests. 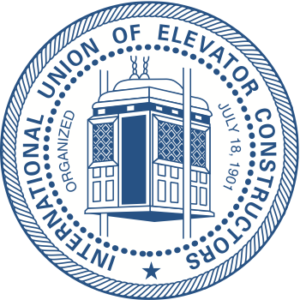 The IUEC represent the most qualified and trained elevator constructors in the world. Members assemble, install and replace elevators, escalators, dumbwaiters, moving walkways and similar equipment in new and old buildings. Elevator constructors also maintain and repair this equipment and modernize older equipment. IUPAT members work in one or more of several crafts: painting, wallpaper hanging, glazing (glass work), drywall and taping, floor covering, and sign and display work. Painters and paperhangers work in industrial, commercial and residential settings, from bridges and ships to interior walls of office buildings and homes. Drywall finishers tape, fill in and smooth seams in sheets of drywall. Glaziers prepare and install various kinds of glass, mirrors, metal framing and doors/entrances to buildings. Floor coverers work with resilient floors, as well as carpet and decorative coverings. Members also perform exterior sign and display work, like standard billboards and lighted billboards. Other types of work are convention display and show decorators. LIUNA is the most progressive, aggressive and fastest-growing union of construction workers, and one of the most diverse and effective unions representing public service employees. LIUNA members are on the forefront of the construction industry – a powerhouse sector of 12 million workers producing five percent of our countries’ economic output. OPCMIA members represent skilled plasterers, cement masons, shophands and associated members. Plasterers finish interior walls and ceilings of buildings, apply plaster on masonry, metal, wirelath or gypsum. Bridges, canals, dams, reservoirs, roads and many other engineering feats would be impossible without the skills of OPCMIA cement masons. Cement masons are responsible for all concrete construction, including pouring and finishing of slabs, steps, wall tops, curbs and gutters, sidewalks, paving and other concrete construction. SMART members work in several industries. Sheet metal workers fabricate, install and service heating, venting and air conditioning systems; blowpipe and industrial systems; metal roofing; coping and flashing; and stainless steel work for restaurants, kitchens and hospitals. They prepare shop and field drawings manually and with computer-aided design. 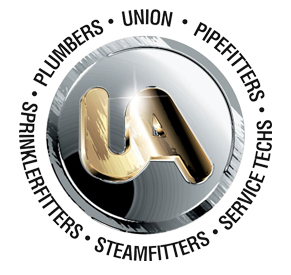 UA is a multicraft union representing plumbers and pipe, sprinkler and refrigerator fitters, and service technicians. These jobs require the installation, remodeling or maintenance of systems that carry water, steam, air and other liquids or gases necessary for sanitation, industrial production, heating and air conditioning, and many other uses. Workers measure, cut and bend pipe, weld, braze, caulk, solder, glue or thread joints at residential and commercial jobsites. Members of the Roofers Union install new roofs and remove old roofs using a variety of materials. Roofers install hot built-up and single-ply roofing systems on mostly commercial/industrial structures. Waterproofers install moisture-resistant products on below-grade structures and other surfaces to prevent water intrusion into buildings. The work is performed in all weather conditions. Members also operate a variety of mechanical and electrical equipment associated with the installation of roofing and waterproofing products. IUOE is a progressive, diversified trade union primarily representing operating engineers, who work as heavy equipment operators, mechanics and surveyors in the construction industry; and stationary engineers, who work in the service industries and in operations and maintenance in building and industrial complexes. IUOE also represents nurses and other health industry workers, a significant number of public employees engaged in a wide variety of occupations, and a number of job classifications in the petrochemical industry. The Boilermakers are a diverse union of workers in construction, maintenance, manufacturing, professional emergency medical services, repair and related industries. Boilermakers build and repair ships, fishing boats, ferries, barges, cranes, boilers, tanks, pressure vessels, plate and structural fabrications among other things. These skilled workers often use acetylene torches, power grinders and other equipment for welding, burning, cutting, rigging, layout and bolting. It’s hard work, and heavy lifting and dedication to the craft is required. Members of this union apply insulation to pipes, tanks, boilers, ducts, refrigeration equipment and other surfaces requiring thermal control of temperatures. The responsibilities of these mechanics, improvers and apprentices also include the manufacture, fabrication, assembling, molding, erection, spraying, pouring, mixing, hanging, preparation, application, adjusting, alteration, repairing, dismantling, reconditioning, corrosive control, testing and maintenance of heat or frost insulation. Workers also handle insulation materials made of fiberglass, rubber, calcium silicate and urethane. Asbestos workers do removal of asbestos containing material. Members of the IW assemble and erect steel framework and other metal parts in buildings and on bridges, dams, skyscrapers, factories and other steel structures. They raise, place and join steel girders and columns to form structural frameworks, including the welding for metal decking. The Canadian Building Trades Unions (CBTU) has a mission to represent all workers in the building, construction, fabrication and maintenance industry and support their efforts to improve their working conditions and quality of life. In pursuit of those goals, the CBTU continuously seeks to build its workforce and strengthen its industry.